If you need to talk to someone about diabetes….. The doctors and nurses at your practice can talk to you about your treatment and refer you to a specialist if they think you need extra help. Diabetes UK has a dedicated diabetes helpline for people with diabetes and their friends and family. You can connect to the Diabetes UK online communities including Facebook, Twitter, YouTube and Instagram. You can also exchange knowledge and experiences with other people with diabetes, family and carers through the Diabetes UK Support Forum. Join your local Diabetes UK support group where you can meet other people living with diabetes and share experiences. It can be hard for those newly diagnosed with Type 1 diabetes to know which websites to trust, so NHS England has made it easier by collecting all the useful NHS-trusted links in one place. The pages will help people with Type 1 diabetes to gain the knowledge and confidence to manage their condition. Click here to visit the NHS website. If you urgently need medical help or advice and you don’t know who to call or your GP is not available dial 111. This service is for people who need medical help fast but it’s not a 999 emergency. It’s available 24 hours a day, 365 days a year. Calls are free from landlines and mobile phones. If you have a genuine life-threatening emergency always dial 999. If you are newly diagnosed with diabetes and living in Kent, The Paula Carr Diabetes Trust have compiled Patient Packs which contain useful information to assist you in coping with the condition. 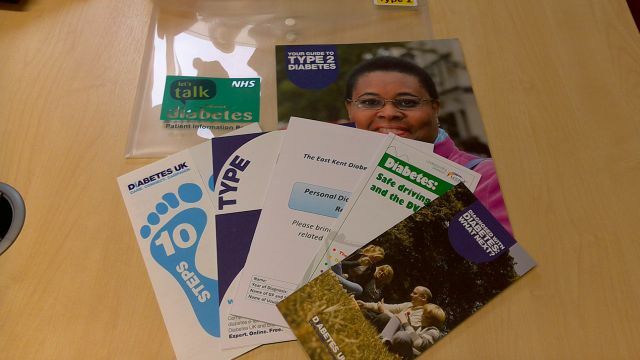 Type 1 and Type 2 packs are available from your GP surgery or from the reception desk at The Paula Carr Diabetes Centre, William Harvey Hospital, Ashford. Sorry, but we are unable to post these packs to you.